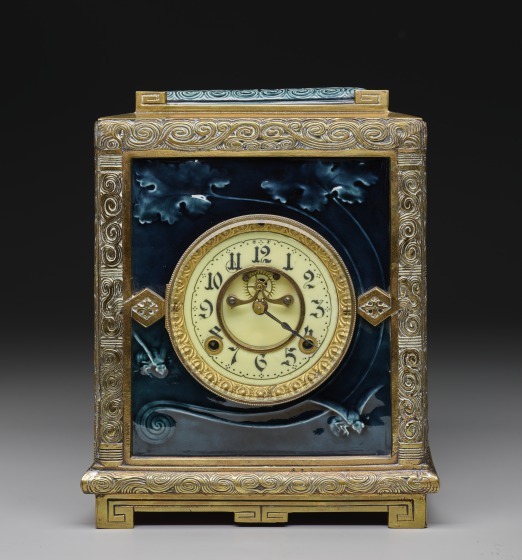 Featuring leaves and bees in an asymmetrical composition, the tiles in this clock reflect a Japanese taste. 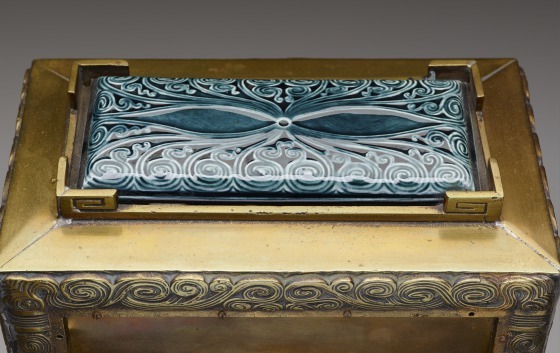 During the late 19th century, Low Art Tile Works was one of America's most innovative potteries, and produced a wide variety of utilitarian tiles. 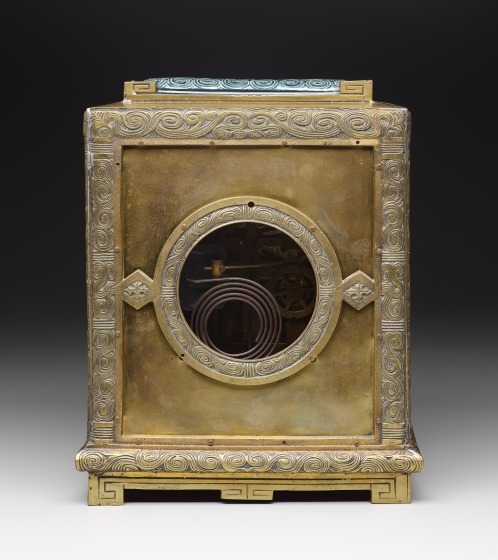 Besides their usual line of tiles for fireplaces and floors, the Low Works produced an exceptional group of ceramic and metal clocks. Due to limited production and their inherent fragility, clocks by Low are extremely rare. 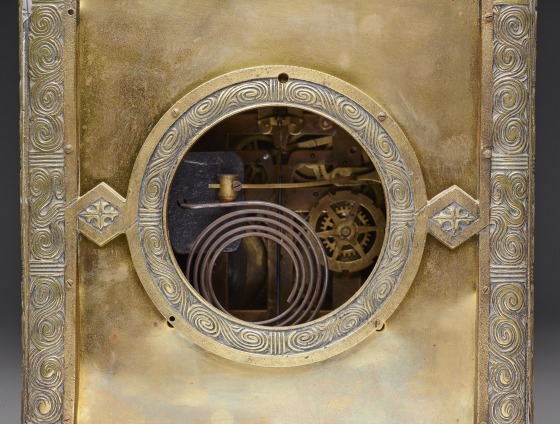 As this clock demonstrates, the designers and craftsmen who worked for the Low Works had extraordinary talent. 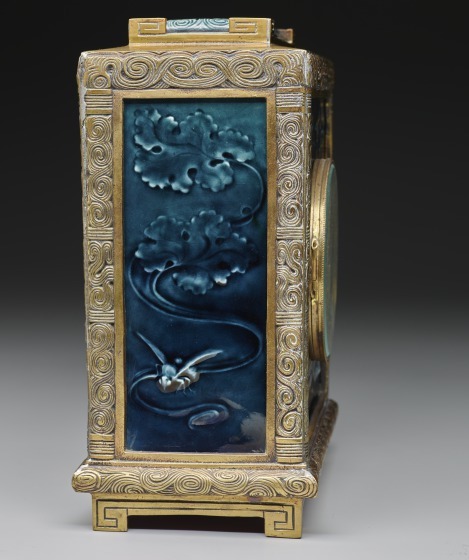 Not only are the reliefs of bumble bees and leaves beautifully molded and glazed in a deep teal blue, but each is unified with one another through the use of brass elements decorated with Chinese cloud motifs. The overall effect is one of great elegance and unity of composition. Kevin W. Tucker, Label text [1990.134], 2006. Charles Venable, DMA unpublished material, 1990. 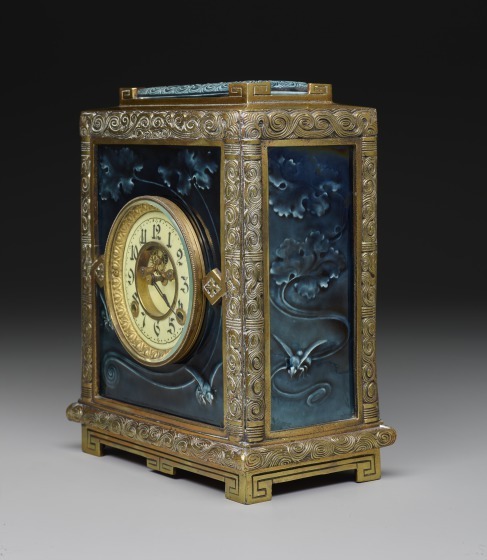 In trade catalogs from the year 1886, this clock was priced at $35.50. 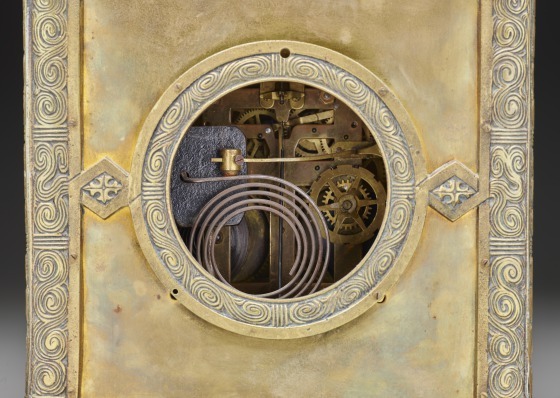 To give a comparison of how expensive this was, walnut parlour clocks sold for about $7, and large hall clocks with hand carving and gong striking movement went for $65.00. This model ("No. 1017") was still carried in the 1887 revised price list at the same price. The 1889/1890 trade catalog still carried at the same price but it has been given the name "Albatross," perhaps inspired by the slow sales they had. The 1895 catalog does not show it. See an example of a similar clock.